The camera site CVP has done a full comparison review here which pits the X-H1 against the X-T2 to see which camera strengths are ahead on each body and if it makes sense for X-T2 owners who are invested in a FUJI lens system to upgrade. Their findings are interesting and as far as slow motion it is clear that while they use most of the same imaging pipeline; the X-H1 has the edge with less crop, less aliasing, and better artifact suppression when using the 120fps slow motion mode. 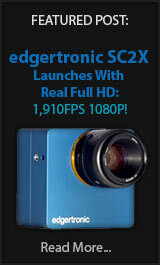 So out of the test, you can clearly see the X-H1 has an edge on quality for higher frame rate recording. Still however if you already own an X-T2 it would not make sense to upgrade to the X-H1 for this feature alone but you could make a case for all the extra video features like 4k, longer recording and better color profiles included in the package. We do not consider the FUJI cameras to be class leading even at 120fps 1080p recording as Sony especially has a quality lead that is hard to approach and Panasonic is now offering up to 240fps in the GH5s which is still artifact prone. The Panasonics do excellent slow motion up to 120fps and very good up to 180fps with quality with everything above that 180fps threshold having a heavy quality loss. 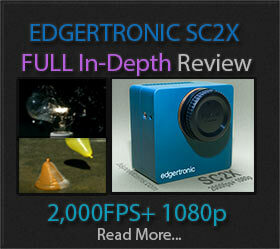 Previous PostLumix TS7 First Rugged Cam Viewfinder Does 120fps!Next PostOnePlus 6 480fps Shoots for 3.75sec!